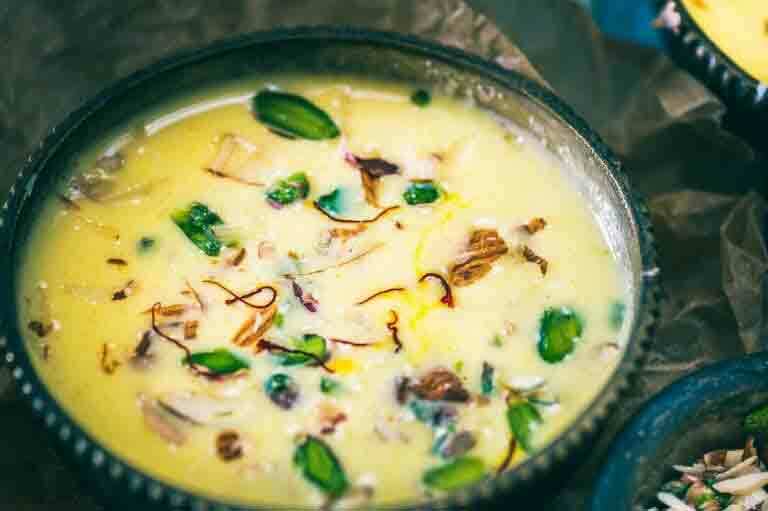 Kheer is a sweet and creamy Indian dessert made from milk as base ingredients with a slight touch of ghee and badam (almonds), saffron and cardamom powder for extra flavor. 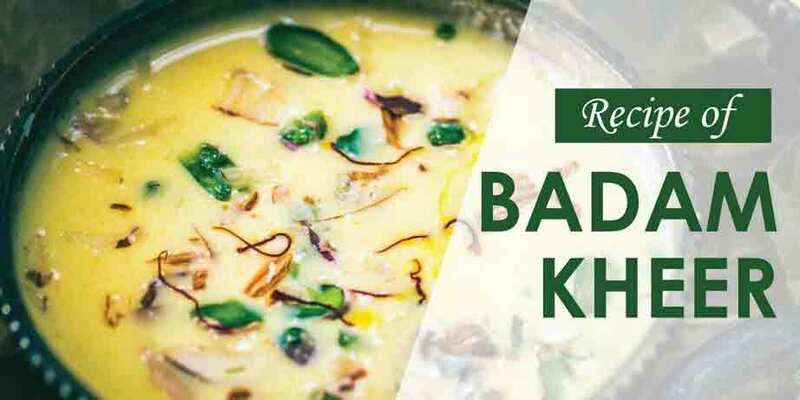 The use of saffron in this badam kheer recipe not only gives it a rich creamy color, but it also adds an aromatic flavor. This quick dessert is also high-energy sweet dish suitable for kids due its generous use of Dry fruit. Place almonds in a bowl and pour 1 cup boiling water over it. Let them sit for around 5-6 minutes, transfer to a colander or strainer and drain off water. Wash them with 1-cup normal cold water. Now, you can easily peel them. If the skin does not come out easily, again repeat the process. Grind blanched almonds with 1/4 cup water and make a smooth paste. Heat 1 tablespoon ghee in a non-stick pan and add almonds paste. Cook it over low flame while stirring constantly until light brown, approx 5-7 minutes. Add milk, mix well and bring it to boil over high flame. When it starts boiling, reduce flame to medium and add sugar, saffron strands and cardamom powder. Cook for 4-5 minutes while stirring continuously. Remove pan from flame and let it cool at room temperature.